You would think from the name “Morning Brew” that I was talking about coffee again. Not so this time. the most informative (and wittiest) daily business newsletter around. Here’s how it works: We’ll send all the need-to-know and some of the fun-to-know business news straight to you every morning. We’ll learn, we’ll laugh, and we’ll do our best to keep up with Elon Musk. What we’re all about: We’re here to convene the best and the brightest interested in business (that’s you…or it will be after a little time with us) and form a community—both online and off. I have been a subscriber for a few days now and I have to say that I am enjoying their morning email. You only get the one message per day so it won’t be flooding your inbox. This is something that you might want to try. I saw this article (“5D – 360 TERABYTES IN A DISK THE SIZE OF A COIN“) this morning and thought that the advance described was significant. Not only the storage capacity significant, but the predicted ‘shelf life’ of 13.8 billion years at room temperature certainly offers incredible archival storage ability. This advancement in data storage was made by scientists at the University of Southampton Optoelectronics Research Centre (ORC). The ORC developed what they call a 5D process that allows a femtosecond laser to read and write data. Data is written in three layers of nanostructure dots separated by only 5 micrometers. These nanostructures change the way light passes through the glass, modifying it’s polarization. The data can then be read by an optical sensor coupled with a polarizer. Obviously this is not a device you are able to order today and connect up to your computer. This does speak to the growing need for backup of large data sets and to long term storage needs. ORC is currently seeking commercial partners to further develop this technology and bring products to market. I came across this offer a short time ago to get the Mac OS X App Backup Pro for free today. This is normally a $19.95 App that can be used to backup your system or make a clone of the boot drive. We should all be making regular backups of our systems, but as we near upgrading to OS X El Capitan a backup is more important than ever. I will post a more detailed review of the App in the future. Will the Flike Let Us Zoom Along Like Imperial Storm Troopers on Their 74-Z Speeders? Speeder bikes through the forests of the moon Endor. 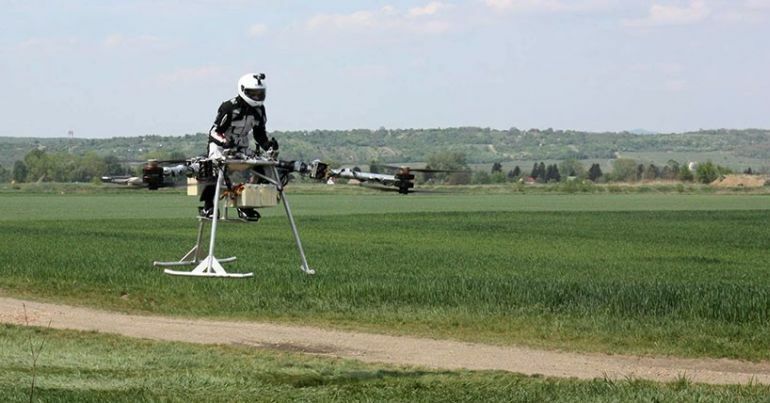 experience with their prototype ‘Flike‘ – a flying bike personal transportation craft. The engineers are from Bay-Zoltan which is one of the leading applied research institutions in Hungary. The video of the first flight didn’t last long, but then neither did the Wright brother’s first flight. Certainly the Flike with it’s Y6 layout and all electric drive has possibilities. The current design’s lithium polymer batteries sustain only 20 minutes of flight, but the concept is interesting. The engineers hope to spin this project off into a for-profit startup in the near future. On Monday April 27, 2015 Apple added NBC Sports Live Extra to the lineup of channels on the Apple TV. Live sport events are streamed on this channel. Some programming is available without a subscription, but the live events will require a companion subscription on a cable network. I am not much of a sports fan, so this addition is of little value to me, but I am glad to see that Apple continues to enhance the Apple TV product. I came across Tweak and Tuneup by Systweak Software earlier today the thought I would give it a try. It is currently available for free download from the Mac App Store and has high review scores. It installed fine, but I immediately ran into problems with the software. The first thing that it does is attempt to identify the user’s home directory, which fails on my system. Unfortunately the software is not smart enough to understand my system configuration. When I installed an SSD as the boot drive, I configured the system to use the original 500GB drive for user space through a symbolic link. I am guessing that the App is unable to identify my home directory because of this. If you are willing to give the App a try (it has a 4.5/5 user rating in the App store) now is a good time. As I have mentioned in other articles, freeing your boot drive of clutter is key to keeping your Mac in good working order.